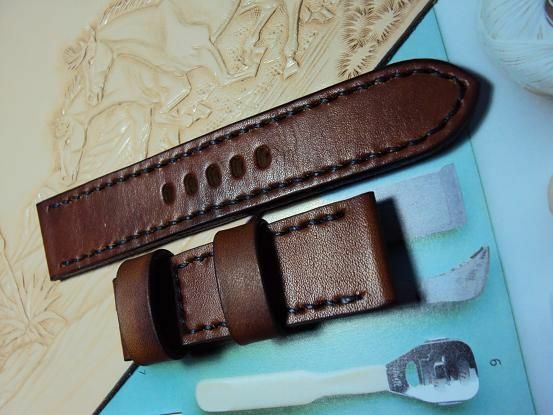 Here are some Panerai leather straps S01~14, and some custom straps Porder201~212 & 220, 221. 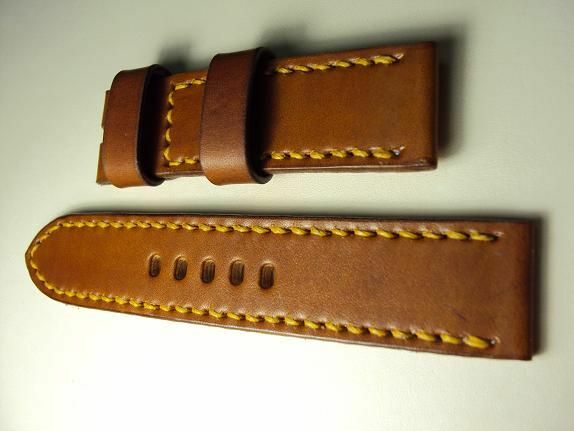 Each one of my posting items could be made a new custom strap according to your custom strap order. 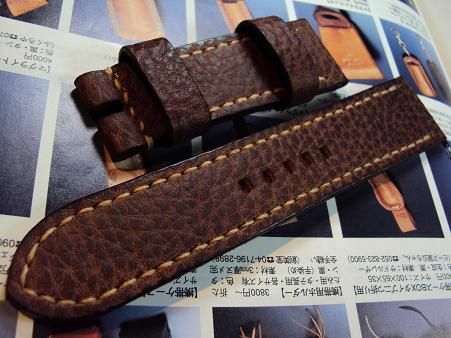 #S01, Panerai chocolate brown crococalf leather strap,26x26mm in width, 145x85mm in length, craem stitch,thick 4.5mm. 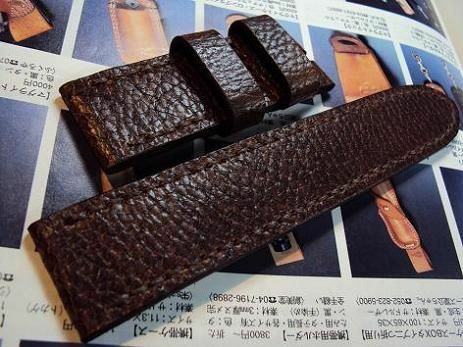 The crococalf strap is priced at $ 130 USD, now charges the promotional price at $ 80 USD including registered airmail worldwide shipping. 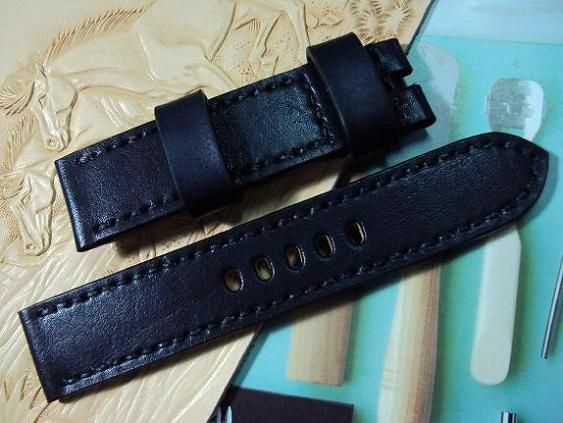 #S02, Panerai chocolate brown Italian ice crack grain leather strap,24x24mm in width,138x80mm in length, white stitch,thick 3.5~4.0mm. #S03, Panerai ultrasoft dark brown leather strap, 22x22mm, 135x75mm, thick4.0mm,two floating keepers,an oblong shape and oblong holes. 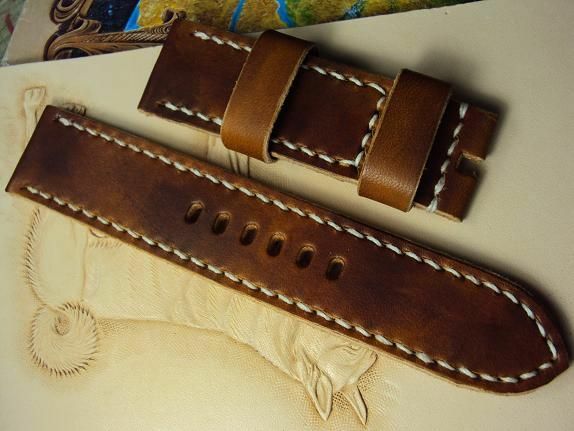 #S04, Panerai Italian grained honey brown leather strap, 26x24mm, 135x75mm, thick 4.0mm, cream stitch. 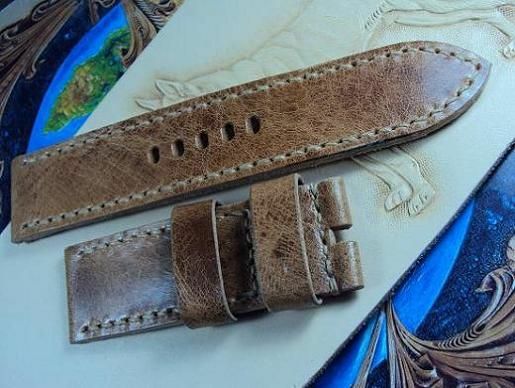 The leather strap is priced at $ 130 USD, now charges the promotional price at $ 80 USD including registered airmail worldwide shipping. 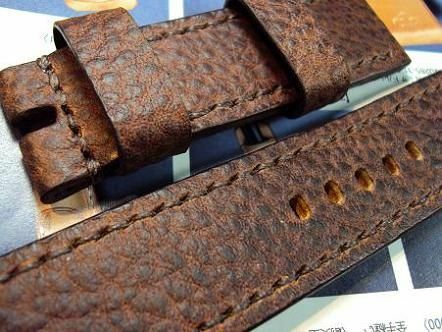 #S05, Panerai chocolate brown Italian ice crack grain leather strap, 26x26mm,140x75mm, dark brown stitch,thick 3.5~4.0mm. 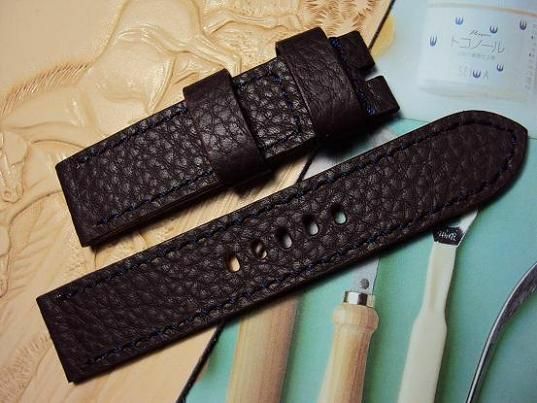 The Italian ice crack grain leather strap strap is price at $140 USD, now charges the promotional price at $ 80 USD including registered airmail worldwide shipping. #S06, Panerai Italian honey brown grained leather strap, 24x24mm, 135x80mm, thick 4.0mm, dark brown stitch. 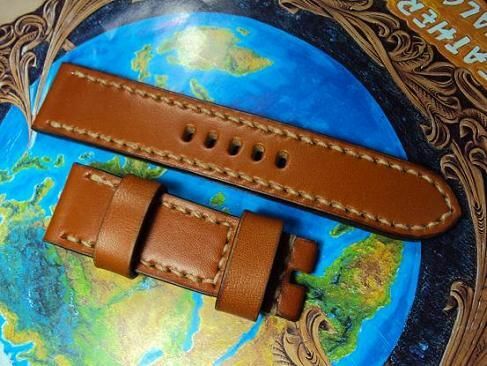 The leather strap is priced at $ 130 USD. Now charges the promotional price at $ 80 USD including registered airmail worldwide shipping. 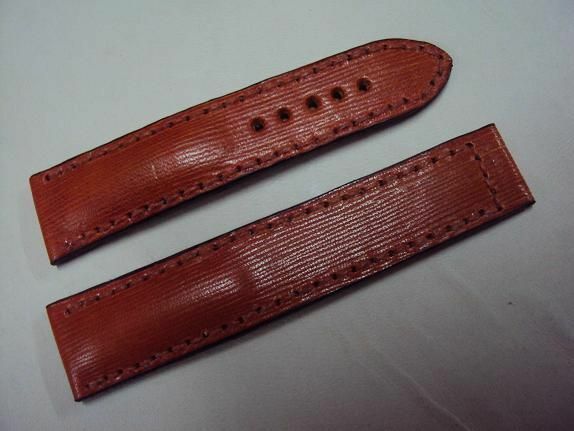 #S07, Panerai chocolate brown Italian ice crack grain leather strap, 140x75mm, 26x24mm, cream stitch,thick 3.5~4.0mm. 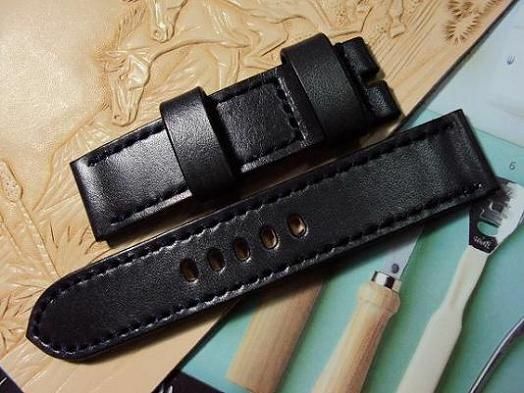 The Italian ice crack grain leather strap is price at $140 USD, now charges the promotional price at $ 80 USD including registered airmail worldwide shipping. 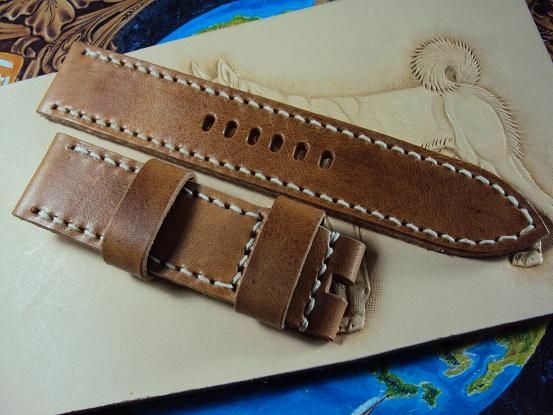 #S08, Panerai ultrasoft light tan leather strap, 24x24mm, 125x80mm, Bund style strap, dia 47mm, cream stitch, thick 4.0mm. 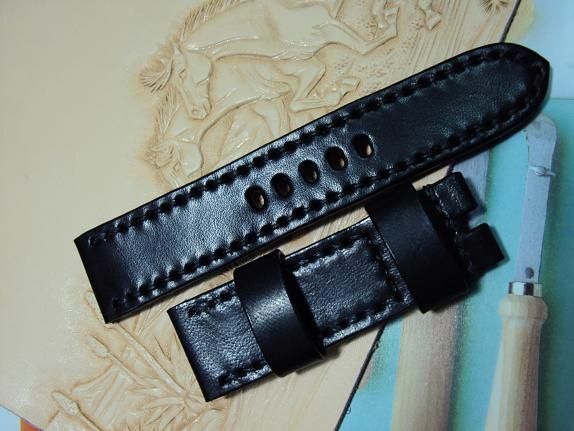 The bund style black leather strap is priced at $ 160 USD. Now charges the promotional price at $ 110 USD including registered airmail worldwide shipping. 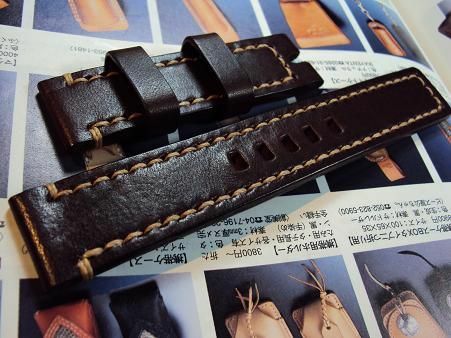 #S09, Panerai bund style strap, dia 48mm, ultrasoft dark brown leather strap, 24x24mm, 135x75mm, thick 4.0mm, cream stitch. 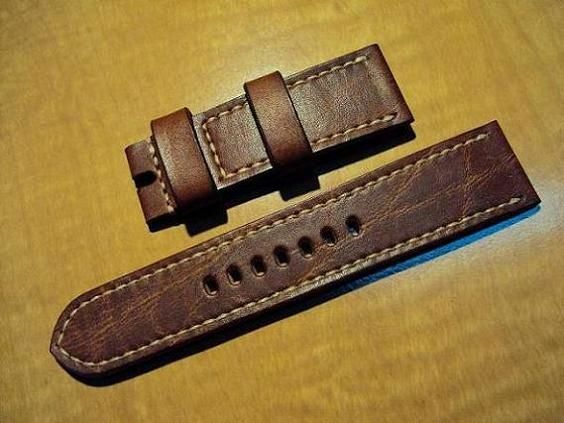 #S010, Panerai vintage honey brown leather strap, 24x24mm, 80x135mm, thick 4.0mm, white stitch, rough edges. 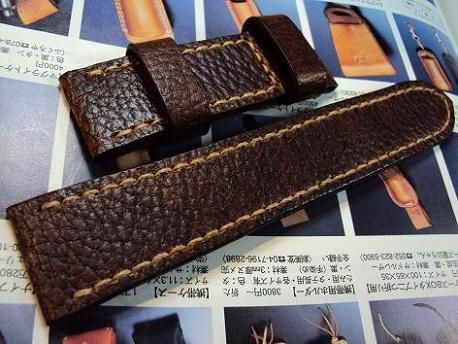 Here are some custom straps Porder201~212 & 220, 221 which have sold by way of some custom strap orders. 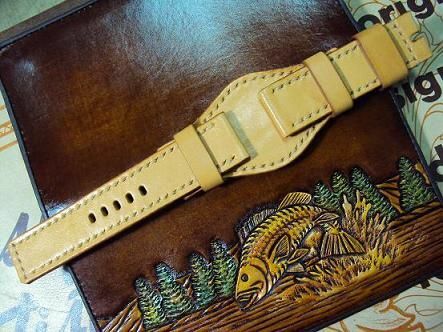 We proffer the custom strap service. 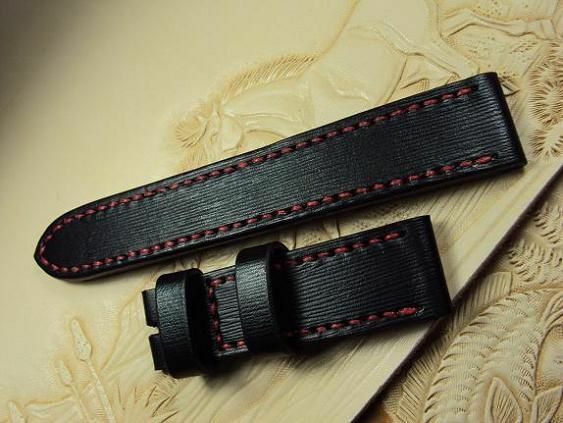 Each one of my posting straps could be made a new custom strap according to the specification of your custom strap order. 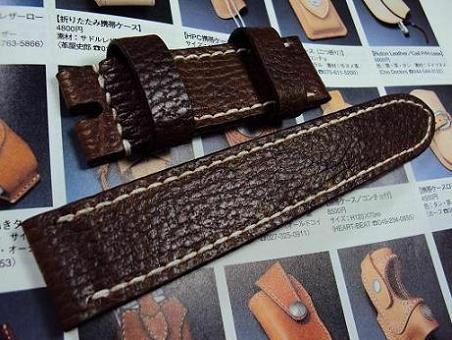 And the new custom strap could be made in desired strap color and length. 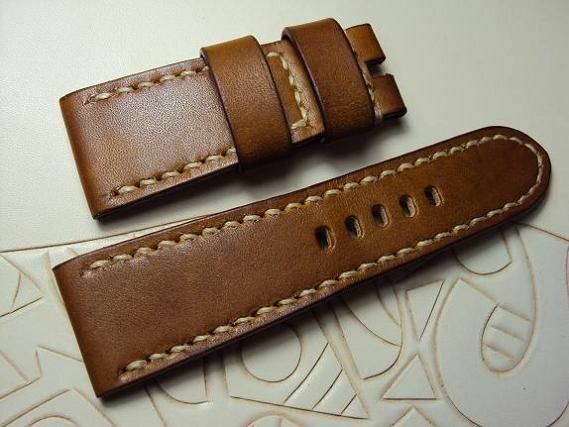 Porder201, Panerai ultrasoft honey brown leather strap, 24x22mm, 130x75mm,thick 4.0mm, cream stitch,calf lining. 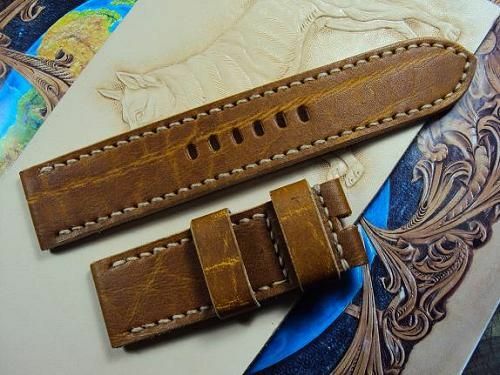 The rippled leather strap is priced at $ 130 USD, now charges the promotional price at $ 80 USD including registered airmail worldwide shipping. 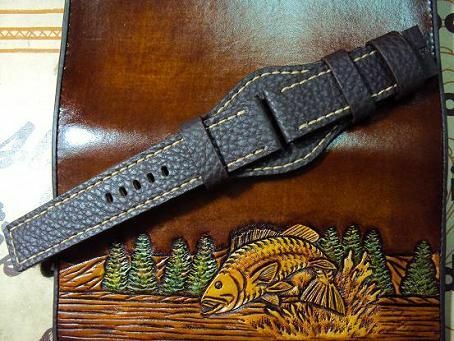 Porder207, Panerai vintage honey brown leather strap, 24x22mm, 75x130mm, black stitch. 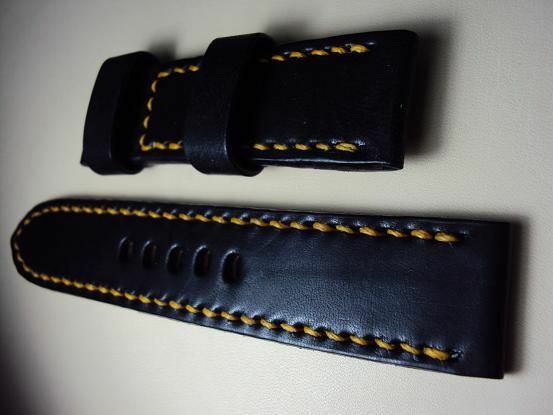 Porder208, Panerai dark blue leather strap, 22x22mm, 85x125mm, black stitch. Porder210, Panerai dark brown grained leather strap, 22x22mm, 85x125mm, dark blue stitch. 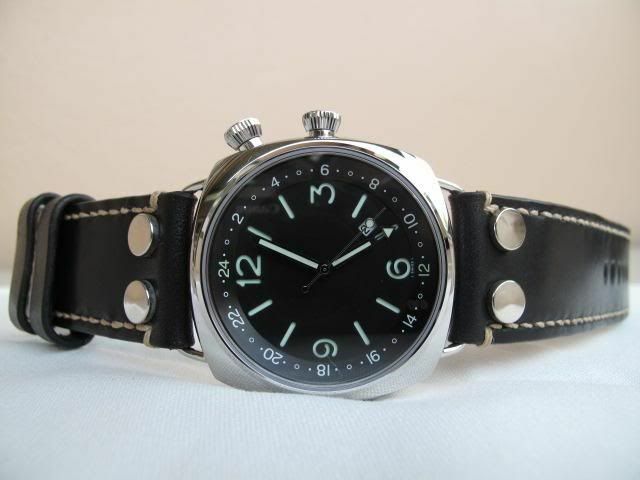 Porder211, Panerai dark gray cowskin leather strap, 22x22mm, 85x125mm, dark blue stitch. 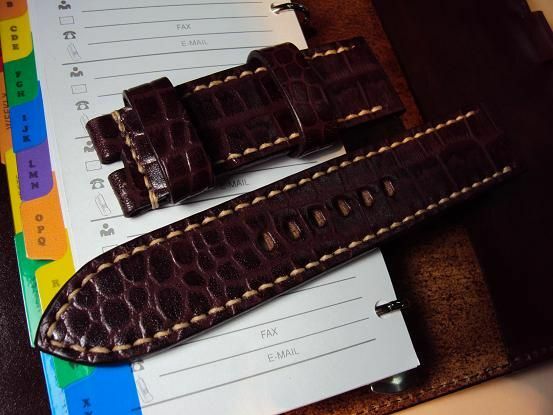 Porder220, OMEGA Italian rippled leather strap, 17x16mm, 80x75mm. 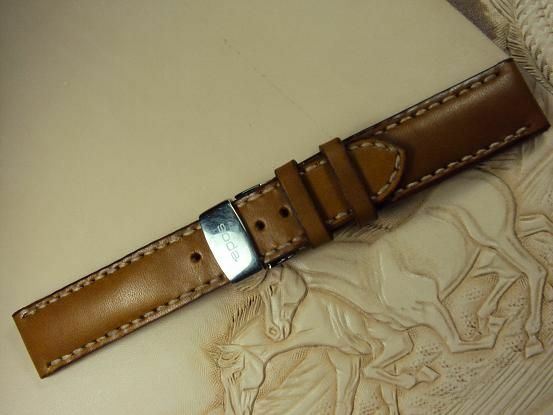 The leather strap is priced at $ 130 USD. No including the deployant clasp. Now charges the promotional price at $ 80 USD including registered airmail worldwide shipping. 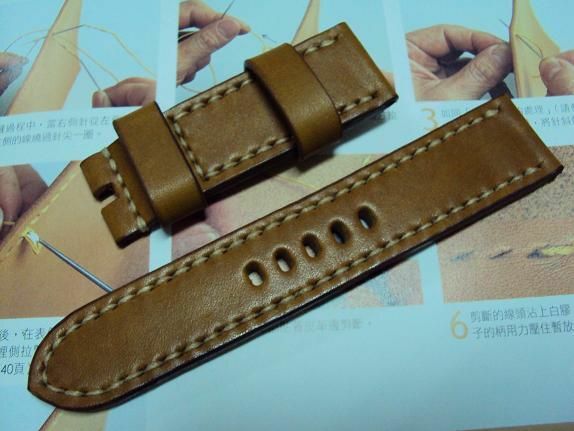 Porder221, EPOS deployant clasp honey brown leather strap, 20x18mm, 75x115mm, thick 4.0~2.0mm, cream stitch. 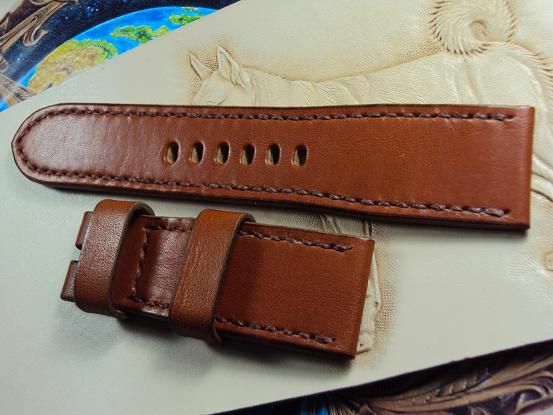 #Porder222, Panerai ultra length chocolate vintage grained leather strap, 26.5x24mm,140x80mm, cream stitch. RXW fixed lugs hidden screw strap ultrasoft black vintage leather strap, MM 25GMT 28/28mm,80x135mm, thick 4.0mm, cream stitching. 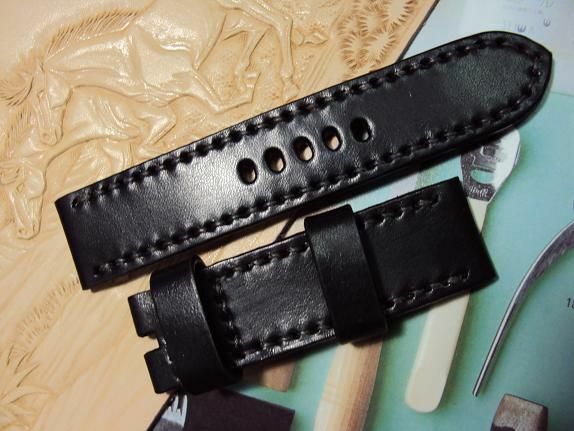 The hidden screw leather strap is priced at $ 150 USD, now charges the promotional price at $ 100 USD including registered airmail worldwide shipping. PS: We do make the fixed lugs hidden screw strap which charges the same promotional price at $ 100 USD including registered airmail worldwide shipping.